Get ideas & inspirations delivered to your inbox. 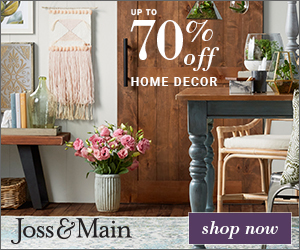 You won't want to miss a thing, so subscribe free to the Blog Feed or sign up for Free Email Updates on the latest projects, shop news, blog tutorials & more. Check out the Project Gallery, Garden, Recipes & Inspirations tabs above, to see what you have missed. Browse through the sidebar for this week's Popular Posts! You guys, I have a great opportunity for you to check out. FREE! Have you guys checked out Bluprint yet? No? 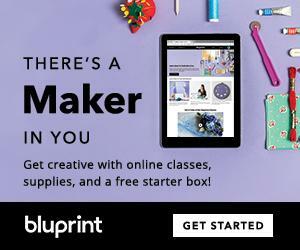 What are you waiting for, go now and explore Bluprint for FREE during their Get Started Event. Ready to go from “I wish I could” to “look what I did!”? 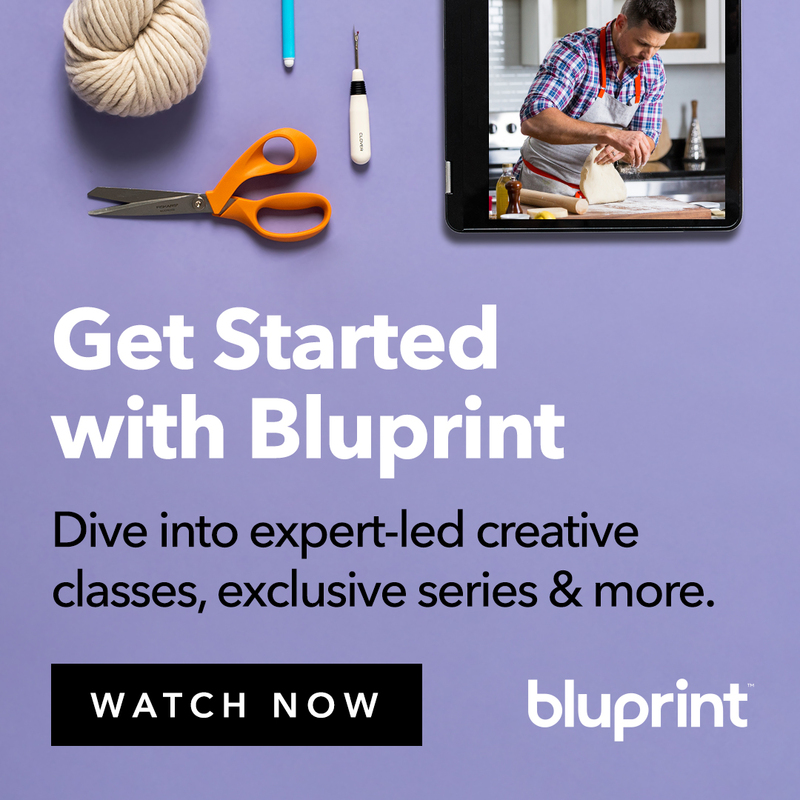 You have until the 12th of October, they’re unlocking thousands of expert-led creative classes, plus projects, recipes, patterns and more to help you do just that. Explore 20+ categories, from quilting and knitting to art and more, and dive into all sides of your creativity. Everything’s FREE during our Get Started Event, on now! Now is your chance to check out all their creative outlets and get your creative groove going. Don't miss this opportunity friends. I know that I have visited and love what they offer, they have classes and amazing how to's. Once you visit with them, come back here and let me know what you liked and if you signed up for anything. Let me know what you wish to see as well that way I can share it with them. Hope to see you there and let's get crafty together! Cheers! some creative decorating ideas for your home. 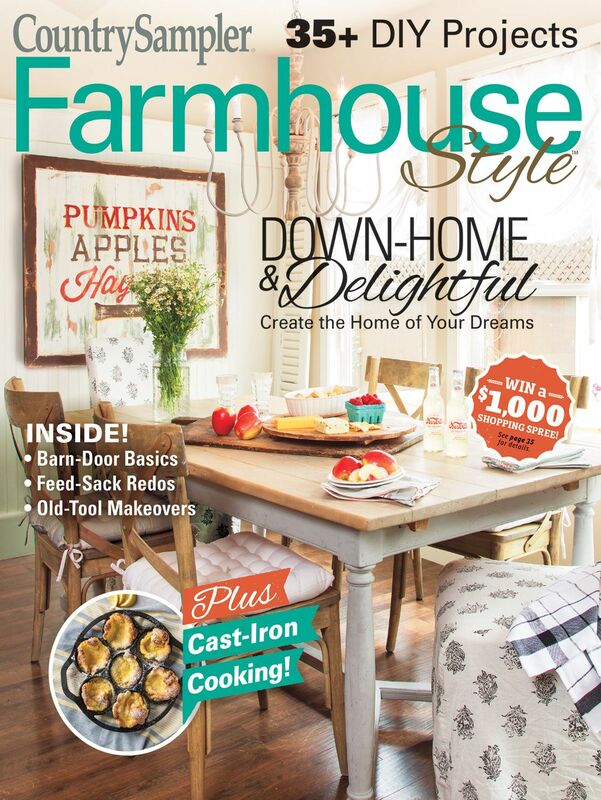 in Farmhouse style -Autumn 2018.
rustic materials, special articles for hosting backyard picnics, barn weddings and more! as well as being available in newsstands nationwide. Now let's get started with this fun project. First, you will need some supplies. the metal tones underneath exposed. Let it dry. 3. 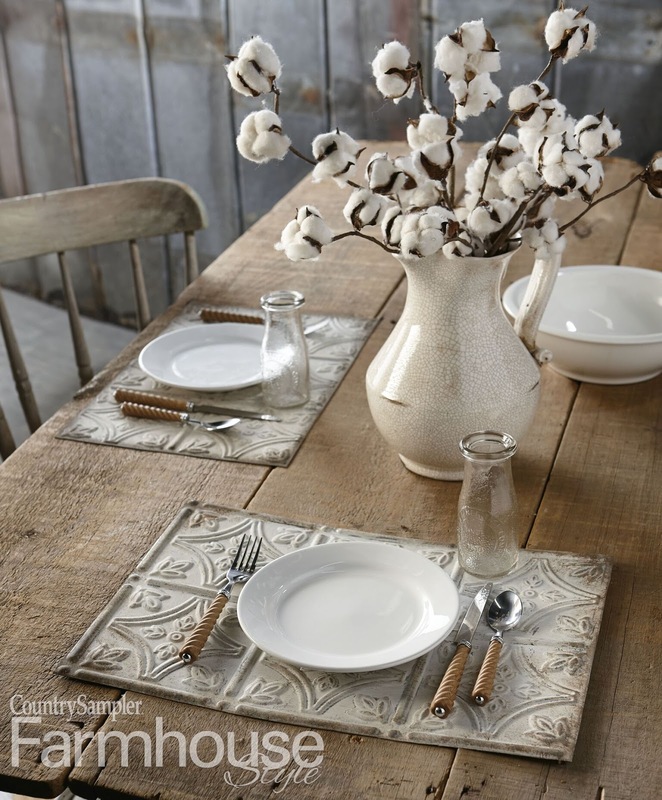 Lightly dab the corners and outer edges of the placemat with brown or rust chalk finish paint. Then, lightly brush over the entire placemat, using minimal paint. Let it dry. 4. Lightly sand random areas to expose the metal tones underneath. Finish with a matte waterproof spray sealer. 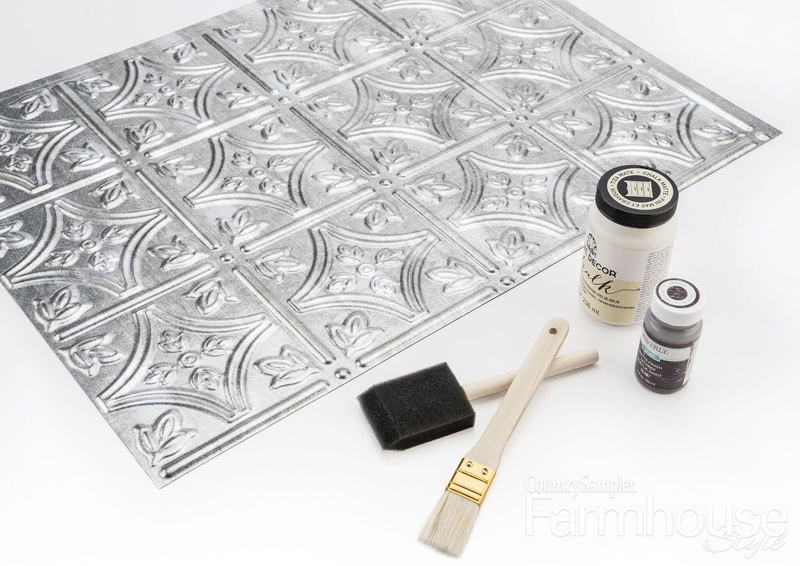 *Alternatively, small decorative backsplash panels that replicate vintage tin ceiling tiles would also work for this project. This is certainly a creative and amazing way to bring texture and a fall feel to your table. favorite things about this placemat is the easy cleaning, just wipe and done. 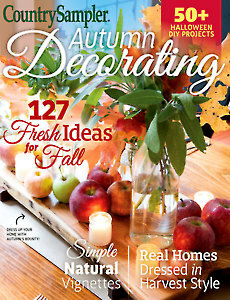 issue filled with hundreds of gorgeous color photos and great ideas. Charter subscribers can sign up for a subscription at www.FarmhouseStyleMag.com/charter. I am looking forward to their many fabulous projects, are you? make a purchase after clicking on my links. 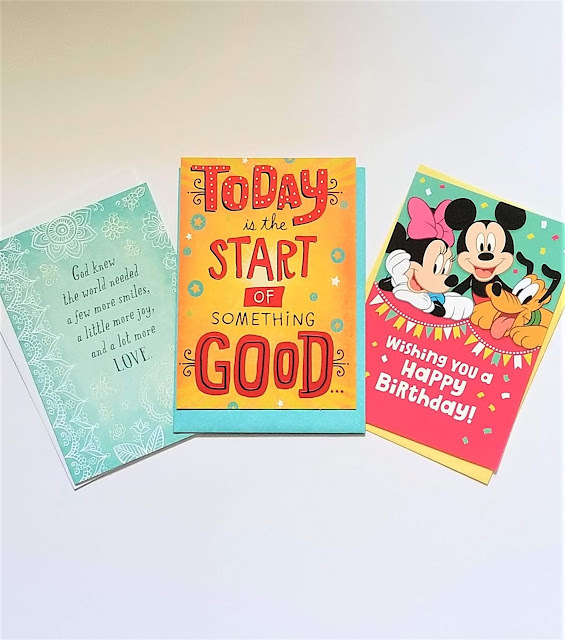 There are over 6,500 Dollar Tree stores nationwide and on August 30th every store will carry Expressions From Hallmark, $1 each and Heartline a Hallmark company, 2 for $1. With hundreds of new greeting cards to choose from, you can celebrate every moment with your friends and family and save. Mahogany: Mahogany enhances emotional connections among family, friends, and the community, and celebrates what is most beloved about Black culture. Vida: VIDA expresses the voice of Latinos across generations, bringing them closer together to celebrate life’s special moments. Tree Of Life: Tree of Life brings Jewish family and friends together to celebrate their faith and culture by honoring meaningful holidays and milestones. I just love this great selection of cards. Now I don't have to spend so much on one card, but buy several for all occasions and they are all at the Dollar Tree. 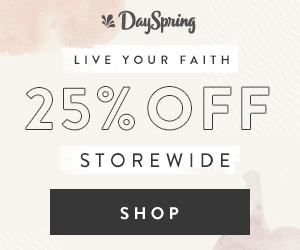 One of my favorite collection is by Joyfully Yours and I believe they are affiliated with DaySpring company. I love the quality and also the messages that are written on the cards. Joyfully Yours: Joyfully Yours lets family and friends express their faith in just the right way during holidays, special occasions, and moments big and small. I have viewed a lot of their cards already and they have many varieties to choose from, there are birthday cards, congratulation cards, thank you cards and much more. 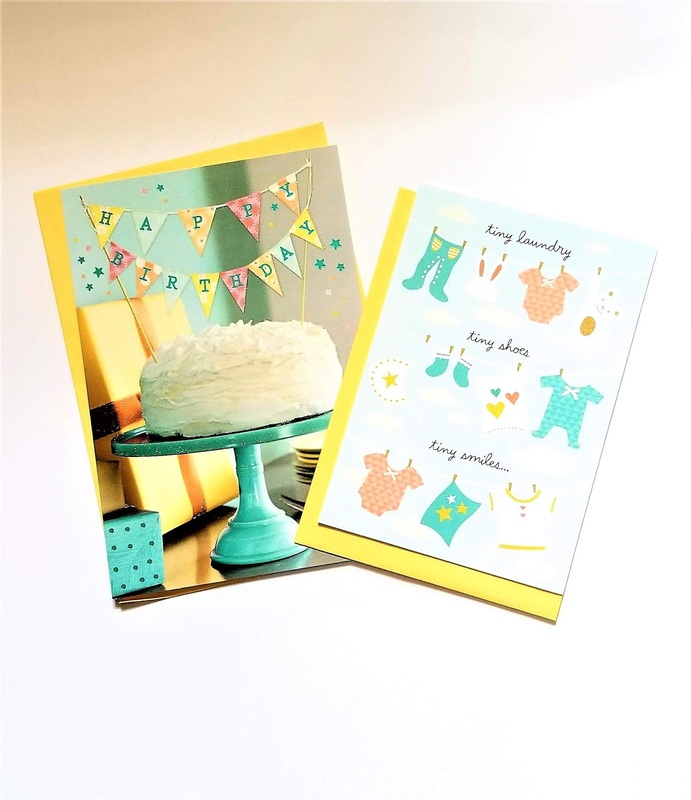 The quality of the greeting cards is great so you will be saving big on these cards. If you are like me and like to be prepared for different events, this gives you the opportunity to buy several cards for different occasions and have them on hand at home, when it's needed. For more information, visit the DollarTree online as well at www.DollarTree.com! I hope that you enjoy the new cards as much as I have and stock up for the year. Garden Bed". I will keep the post short and sweet. want and the wood you will use. want to build, I will provide this link here. There, you will see several varieties; you may choose which one to make. so when they sprout, we may plant them in our vegetable garden. You may view that in my Instagram account. in order to remove the grass to prepare the ground for the raised bed. We added the soil and mixed it with organic compost. After the soil was mixed into the garden bed, we added the plants. I hope that this inspires you today to create your own garden bed. Hey friends, Today I want to share a sale with you from our friends over at Cricut. 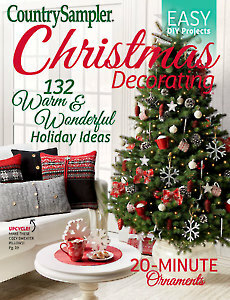 This week, Cricut is offering huge savings on Material & Machine Bundles! now it's the time to get it along with the supplies on sale. 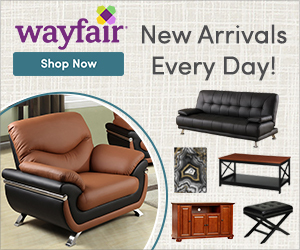 There are many other products on sale right now on their site, so head on over to their site! Sign Up Here to get the latest ideas & tips right in your inbox! Type your Email below. Copyright©2010.www.inspirationsbyd.blogspot.com.All Rights Reserved. Do Not Copy. Disclaimer above.. Powered by Blogger.